I have checked the drawings and there appears to be no plans to sound proof Middlewich road bridge or Byley lane. There will be sound proof fencing prior to Oak tree lane on the south bound side. In relation to the planting of conifers, to confirm: they cannot be planted the motorway side of the fence due to the long term maintenance of them and the need to change the existing plans with such issues as the overhead gantries and emergency refuge areas and drainage issues. The land adjoining the perimeter fencing is privately owned by local landowners and the planting of conifers would be an issue for you to take up with them and not Highways England. I’m sorry I am unable to assist you further and if there is anything else you require please let myself or Sam know. with regards to maintenance being required by conifers this I would disagree with, they are one of only a few trees that never require any work, in my view there is sufficient land between the carriage way and the fence to have no impact on any drains or services, this land is also an embankment for much of its length so with conifers planted at the top against the fence gives more screening visually of the motorway . with respect I think you are looking at an old plan, there was a proposed short section adjacent to the now demolished bungalow called the haven at the end of oak tree lane. This property was demolished for reasons of pollution and noise from the M6 and planning permission was agreed for two properties to be built on the north bound side further away from the motorway ,this included the removal of the existing farm house also. 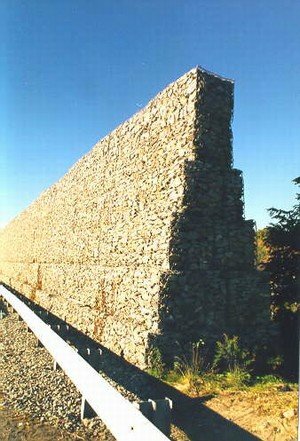 when highways realized this they said that they would no longer construct the sound proof fence. perhaps you might wish to comment? I’m sure you can see the serious impact this is all having and it contravenes the human rights act, in that the wellbeing of all residents is affected. So who will step up and do the right thing? Highways Agency, Cheshire East, Cranage Parish Council?